Countless boys and girls have been a part of Children in Action since it began in 1995. These children grow into adults who impact their world for Christ. Many lives have been changed as children and their leaders have prayed for, given to, and participated in missions education and hands-on missions involvement. As Children in Action meet and learn together, they "travel" to various places around the world learning about the work of missionaries, praying for others, learning what the Bible says about missions and serving others, and learning what they can do in their own communities to serve and share Jesus with others. Children in Action helps boys and girls gain a biblical worldview that challenges them to live a missions lifestyle everywhere they go and in whatever they may do. then consider starting Girls in Action and Royal Ambassadors. Send your comments and questions to children@wmu.org. We look forward to hearing from you! Children in Action Pledge: As a member of Children in Action, I will pray for missions, give to missions, learn about missions, and do missions through the power of Christ. Children in Action Motto: Send me! Children in Action Scripture Verse: "I can do everything by the power of Christ. He gives me strength" (Phil. 4:13 NIrV). Badges can be earned through special projects and activities found in Children in Action Leader, Missions Expedition, or leader-created projects. Where do all of these badges go? Download and share this placement guide to help leaders and parents get all of a Children in Action member's badges in the right place on his or her vest. View the placement guide. CAs display earned badges on green vests. Vests can be purchased at lifeway.com/specialtyimprints. Words to the official Children in Action song, "Children in Action," are printed below. CiA is here to stay. To live for Jesus in every way. We're getting on our feet. About the new friend we've found. Get ready for an adventure! This leader book for the Children in Action Individual Achievement Plan is full of engaging hands- on learning activities. 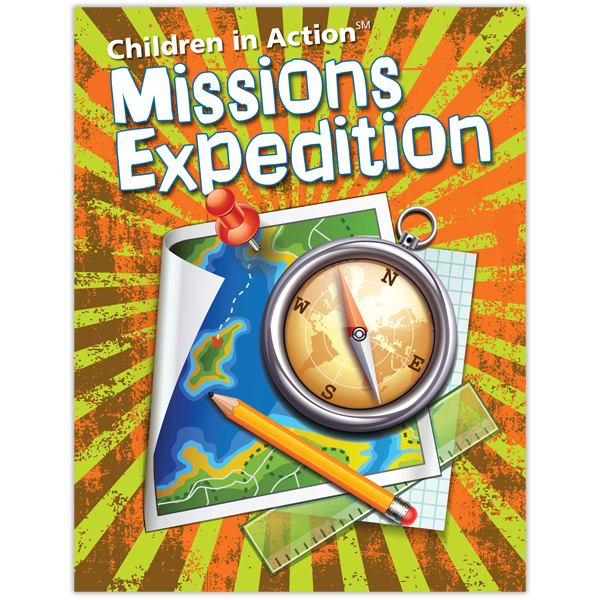 This optional plan for Children in Action helps children apply daily biblical principles and gives a deeper understanding of missions. In addition to curriculum, WMU provides several other resources for Children in Action. Get your CA gear today! GAs, RAs, and Children in Action love to do hands-on ministry through mission projects! Each month, GA Leader, RA Leader, and Children in Action Leader suggest a mission project for groups to do. Many groups also plan their own projects, based on the needs of their communities. What mission projects does your group enjoy? Share your ideas on the Children in Action Facebook page! Children in Action is part of Woman's Missionary Union (WMU). WMU is an auxiliary to the Southern Baptist Convention. Want to learn more about Children in Action? Let us help you get started.